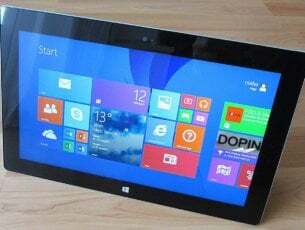 Restarting your Windows 10 device should be an intuitive task. However, due to certain reasons the reboot/restart process might cause some problems. More exactly, it can be a slow boot, or worst, the restart process freezes. So, the computer will be stuck on the restart sequence for a long period of time. In some situations, restarting is completed after a few minutes, while in others the process might take hours. Of course, when the Windows 10 restart freezes applying dedicated troubleshooting solutions is needed. Only in this way can you stop the restart sequence and resume the Windows 10 boot process and here are the ways to fix it. The restart might get stuck due to numerous reasons. However, in most situations the problem can be fixed automatically, if a new restart is initiated. But first, the computer needs to be shut down in order to launch the reboot process again. Now, this can be done easily, by following an intuitive solution: just press and keep pressing the Power button for at least 6 seconds – or as long as it takes for the computer to turn off. We know that this something that you might have already applied, but believe us, the easiest solutions are the ones that aren’t usually applied. There might also be a driver conflict involved. 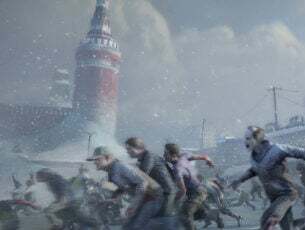 Shortly, drivers that belong to different hardware might enter into a conflict state and that might cause the restart freeze issue. So, use the lines from above and force-power off your Windows 10 system. Then, unplug any peripherals such as: an external hard drive, an additional SSD, your phone, the USB flash drive and so on. The computer should be using only the keyboard and mouse. In the end, retry to restart your device. If everything works well now, reconnect your peripherals. 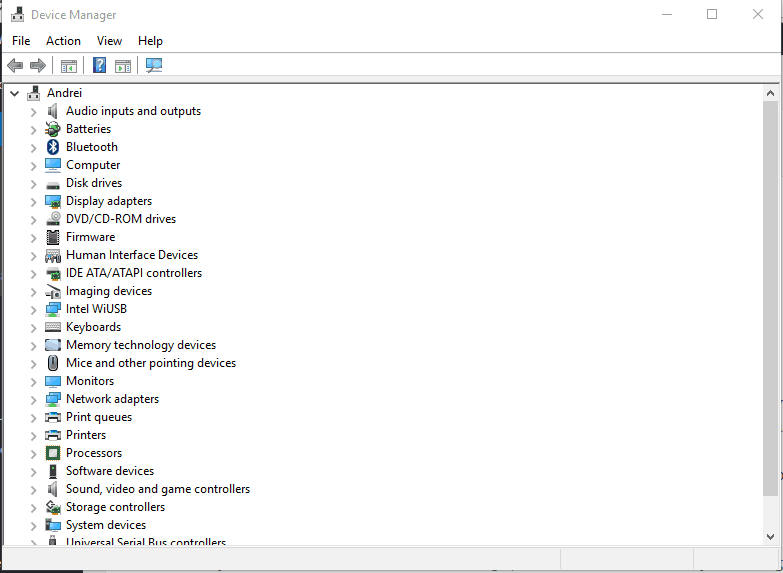 Also, consider in updating the drivers for these hardware components, if that’s possible – you should also update/reinstall all the drivers that are currently displayed within Device Manager. This way, you can fix any possible malfunction related with the restart process. Launch the Windows 10 Search console by clicking on the Cortana icon (located near the Windows start button). In the Search box type device manager and click on the first result. 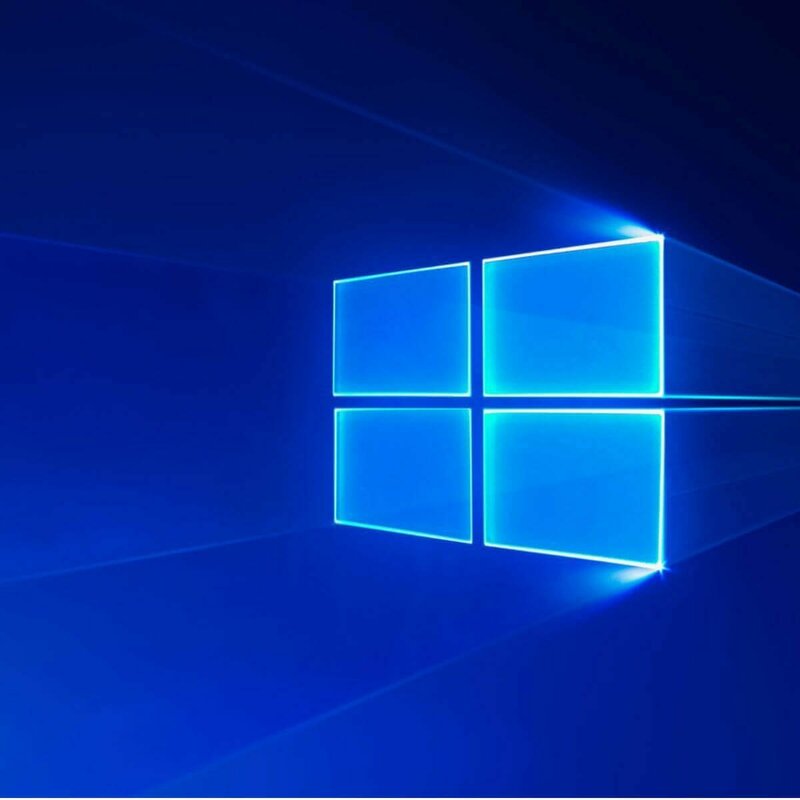 Now, Device Manager window will be displayed on your Windows 10 system. From the list that will be displayed access each installed driver. Right-click on that entries and select “update”; you can also choose ‘uninstall’ in order to reinstall the drivers afterwards. Keep your drivers updated for your system to run properly. We recommend you to download this driver updater tool (100% safe and tested by us) to do it automatically. This way, you will prevent file loss and even permanent damage to your computer. The reason why the restart is taking forever to complete might be an unresponsive process running in the background. For example, the Windows system is trying to apply a new update but something stops from working properly during the restart operation; or a system scan is initiated but something is working as it should and the scan stops from running. From the Windows 10 loading screen press Ctrl+Alt+Del. The restart sequence will be interrupted and the Task Manager window should be displayed instead. From there choose ‘end task’ for each process that’s not vital for the start-up operation. Close the Task Manager windows when you are done. Everything should be running without problems now. After forcing-reboot the computer, go to the lower-left corner and right-click on the Windows start button. In the cmd window type ‘net stop wuauserv’ and press Enter – the processes related with the update will be now stopped. Return to the cmd window and type: cd %systemroot% followed by ren SoftwareDistribution SD.old and by net start wuauserv. 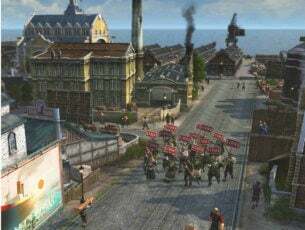 Now the update process will be restarted. Open the Search Windows 10 field – click on the Cortana icon. In the Search box enter Troubleshooting and select the first result that’s displayed. You should bring the Control Panel window. From the left panel click on View all. 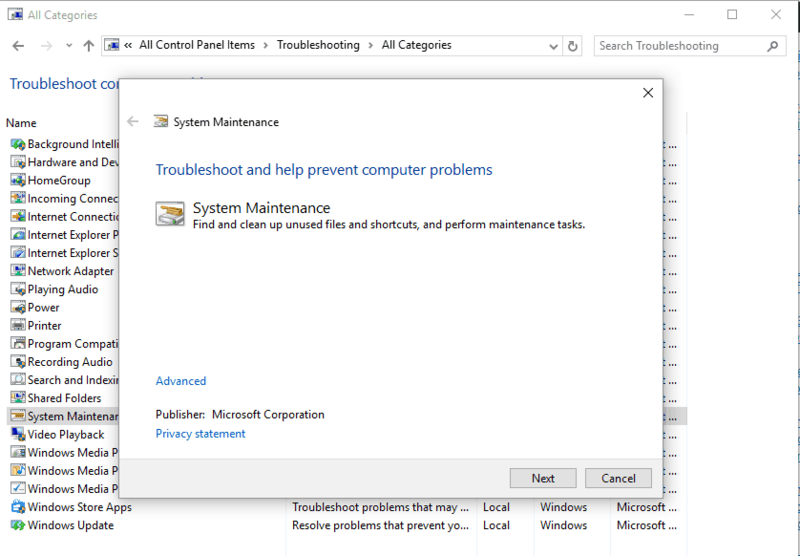 A list of Windows 10 troubleshooter programs will be displayed. When prompted, select Apply repairs automatically. Follow other on-screen prompts and complete the troubleshooting process. When done, restart your Windows 10 computer. 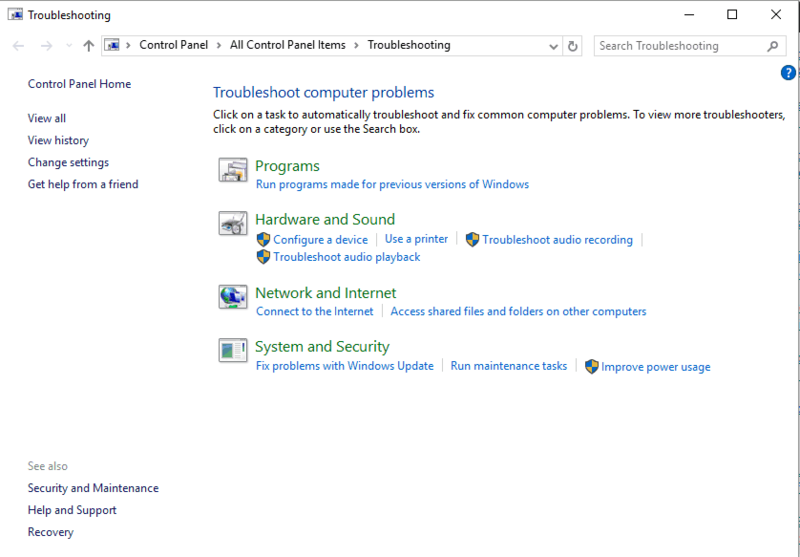 If the problem is still there, follow the same steps and also run the Power troubleshooter. Additionally, you can also run a System File Check by running the sfc / scannow command from an elevated Command Prompt window. The methods listed above should fix the Windows 10 restart issues. If you know other troubleshooting solutions that might address this issue, share them with our readers in the comments field below.